Bool combines the functions of all the GRIF-Workshop Boolean package modules. 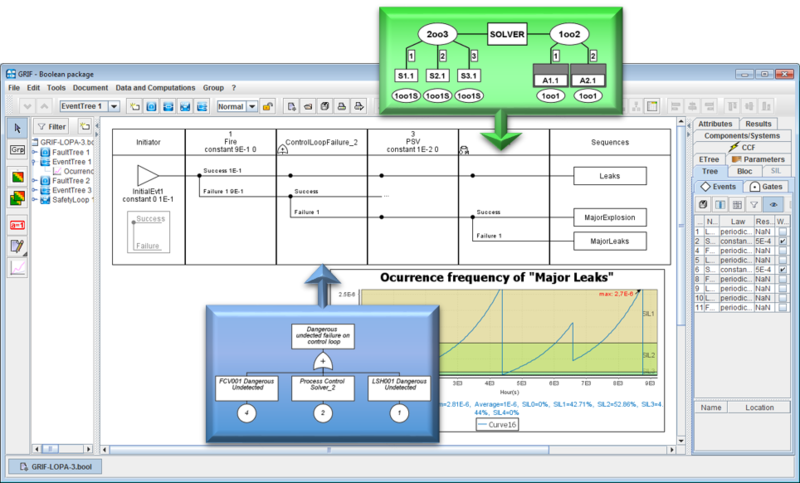 Fault Trees (Tree), Event Trees (ETree), Reliability Block Diagrams (BFiab), Safety-Instrumented Systems (SIL), Reliability-Network (Reseda), Bowtie and LOPA tables (Risk) can all be included in the same document, which can then be used for bow-tie risk assessments or LOPA-type analyses with complex safety barriers or any other model requiring a combination of different representations. Users already familiar with our different Boolean modules will have no trouble creating models with the Bool module. The graphic interface is similar to that of reference modules, making it easy to create models. 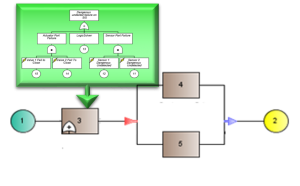 Also, Fault Trees and Event Trees, Safety Instrumented Systems, Reliability Block Diagrams, Reliability Networks and Bow-Ties can be imported separately within the same Bool document. All the computation possibilities (probabilities, frequencies, minimal cut sets, importance factors, etc.) of the ALBIZIA engine available in the different modules are also featured in Bool. The model uses BDD (Binary Decision Diagram) computations to provide accurate results. Depending on the level of accuracy needed, the Bool module allows you to detail a component (such as a block) using another model (a Fault Tree, for example). This gives users greater flexibility when modeling. They can detail sub-systems, if necessary, or keep a more general functional description. To compare two system architectures, sensitivity studies can also easily be carried out by creating different system architectures, and then running computations with one configuration and then the other. 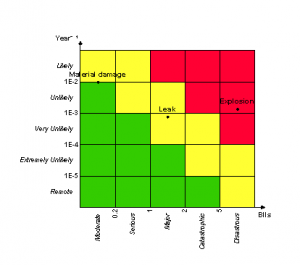 In the industrial world, probabilistic risk assessments help prevent major accidents. 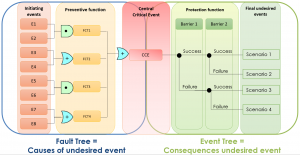 They are carried out by following two steps: identifying the unwanted event and its causes, then analyzing the sequence of barrier failures to determine the scenarios. A bow-tie assessment focuses on that issue by identifying all the accidental sequences and quantifying the frequency of occurrence of the unwanted event. Now that this type of study is taking on a larger part in risk assessments, the Bool module provides an exact evaluation of the frequency of occurrence of a scenario, without any approximations. Elements common to the different barriers can also be more easily considered thanks to the “repeated object” and “references” settings. 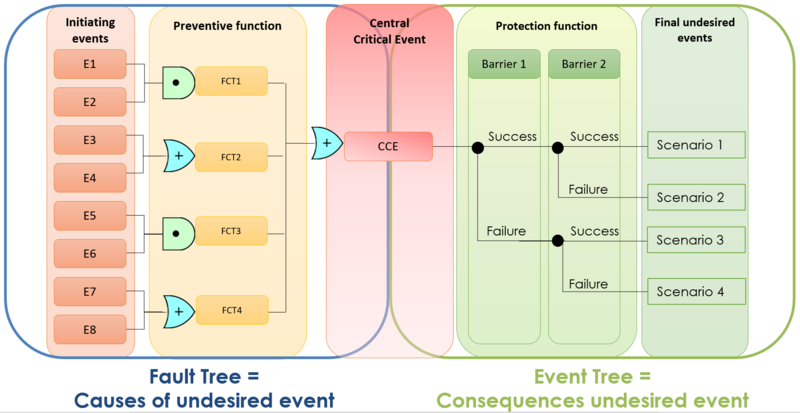 Computations are run on an event tree and presented in the matrix defined by the user, with each scenario (or consequence) positioned according to the results (X-axis) and the severity specified by the user (Y-axis). Results can be viewed as curves, pie charts or histograms.